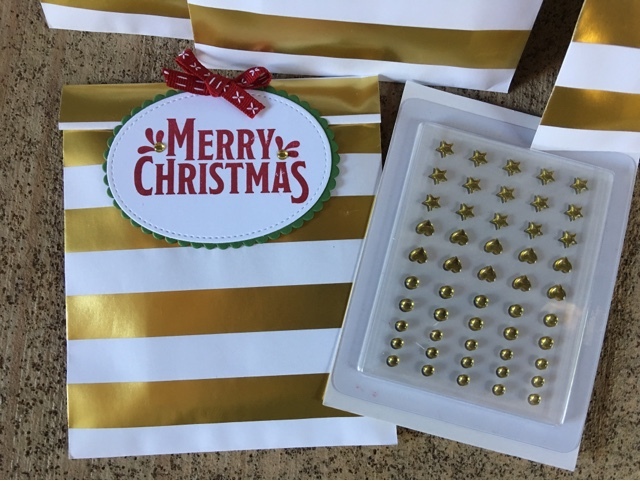 papermadeprettier: Gold striped Christmas bags + Merry Mistletoe = gift giving perfection! 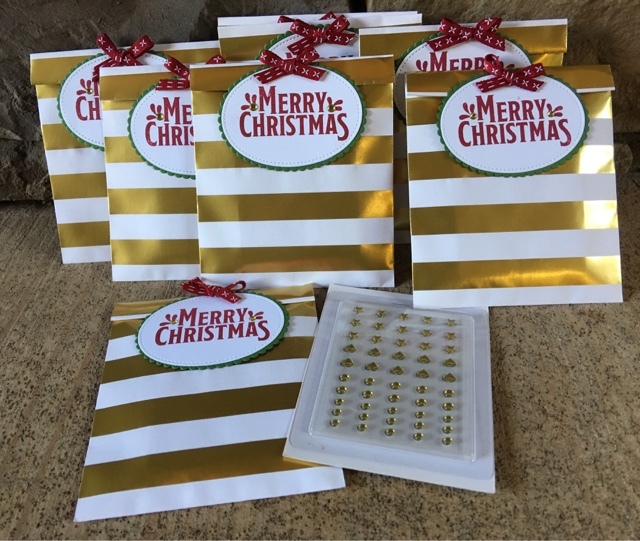 Gold striped Christmas bags + Merry Mistletoe = gift giving perfection! I love showering people with cute gifts. For my recent Full Day Christmas in July retreat, one of the pillow gifts was our metallic enamel shapes. We are in the crafting business, so of course, presents must be dressed up in full fashion! 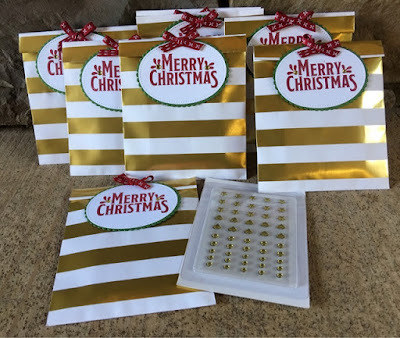 I used the gold striped treat bags (HELLO... gold is the best neutral of all!) 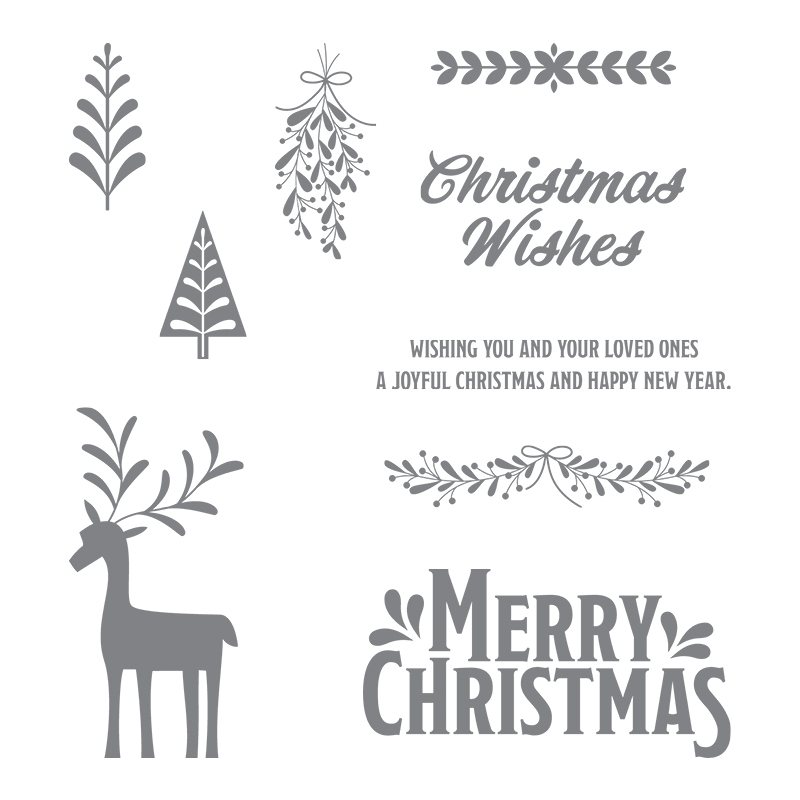 with the Merry Mistletoe stamp set for a treat that would make Kris Kringle smile from ear to ear. The white oval was cut with my all time favorite framelit, the Stitched Shape Framelits and layered with a Garden Green layering oval. Our Cherry Cobbler double stitched 1/8" ribbon finished it off perfectly. TIP: I adhered one glue dot to the under edge of the oval to keep the bag shut and make it easy to open. 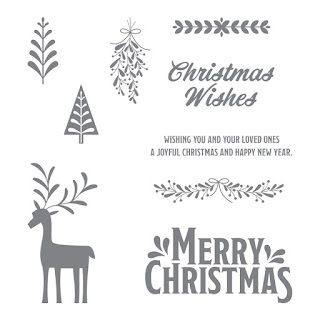 Click here to order the stamp set or to shop for any of these supplies on my online store today. Or email me to order! cogbill22@yahoo.com.